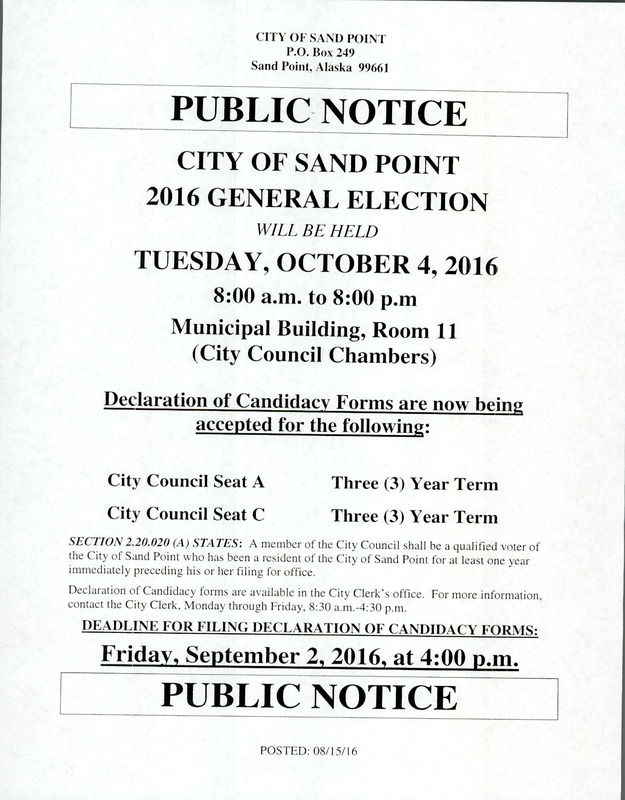 Sand Point has two open seats on its City Council for the regular October 4 election. Candidates must declare before September 2nd. See the City Clerk for a candidacy form.